Focusing on both the body and soul of workers worldwide, the 2015 Carnegie Mellon University International Film Festival will run March 19 — April 11 at various locations around Pittsburgh. The festival — in its ninth season — will screen 19 award-winning films from 14 countries. Following the festival’s well-established tradition, each screening will also feature a special event, such as appearances by the director or someone else associated with the film, panel discussions, presentations and culinary displays relevant to the film’s themes. Opening night will feature “A Master Builder” at 7:15 p.m., March 19 at the Regent Square Theater. The film is an adaptation of a Henrik Ibsen play that was in rehearsal for Broadway for 14 years. “It’s a wonderful film about the human condition — meeting a dictatorial architect trying to justify the hardship he inflicted on others in order to achieve his success,” Lion said. Jonathan Demme, Oscar-winning director of the Pittsburgh-filmed “Silence of the Lambs,” will be present at the screening. Additionally, the festival and CMU’s School of Drama are hosting “Face to Face with Jonathan Demme” from 4:30-5:30 p.m., Thursday, March 19 at the Philip Chosky Theatre in the Purnell Center for the Arts. The event is open to the public, and the cost to attend is $10 for general admission and free of charge for CMU drama students. Call 412-268-2407 to purchase tickets for this special Q&A. Other festival highlights include “Secret Sharer,” a love story and historical adaptation of Joseph Conrad’s book of the same title, at 7:15 p.m. on Saturday, March 21 in CMU’s McConomy Auditorium. The film from the United Kingdom, China and Poland tells the story of a Polish captain’s first command that goes awry in the South China Sea. When his crew abandons ship, the young captain is left alone on board – until he finds a Chinese woman in distress, floating in the water. Then, a search party turns up looking for a murderer. Writer/Director Peter Fudakowski will attend the screening. 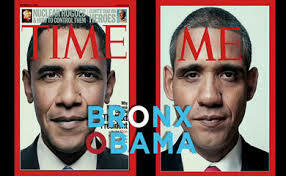 “Bronx Obama” is an American documentary about Louis Ortiz, a middle-aged, unemployed Puerto Rican from the Bronx who looked in the mirror one day and didn’t see himself. Instead, he saw the face of change, hope and money. The film tells the tale of a Barack Obama impersonator who tries to cash in on the “look of a lifetime” and chases the American dream. “There’s a comedic aspect of the film with an actor impersonating Obama in a lighthearted way. At the same time, there is a deeper conflict that he faces — having to put on a mask all of the time, unable to separate himself from his work,” said Lauralei Kraski, a sophomore at the University of Pittsburgh and Lion’s assistant. The festival will close at 6:30 p.m. on Saturday, April 11 in McConomy with “Court,” an Indian film about an aging folk singer and social protester who is tried in court over and over again. “You see places where things aren’t necessarily fair, but this man still does what he believes in without fear of repercussions,” said Goldberg. Following the screening of “Court,” there will be a free closing night reception. “Faces of Work” is organized by Carnegie Mellon's Humanities Center. It is sponsored by the Fine Foundation; the Consulate General of the Republic of Poland in New York; Consulate General of the Czech Republic in New York; Art Institute of Pittsburgh; Point Park University; Carlow University; the University of Pittsburgh’s Department of German, Graduate Program of Cultural Studies, Film Studies Program and Global Studies Center; the Sembène Film & Art Festival; Silk Screen Film Festival; Steeltown Film Factory; Kentucky Avenue School; Pittsburgh Filmmakers, WESA, WYEP, Pittsburgh City Paper; Putting Down Roots: Sustainability Salons; Lit Pit; Steel Cinema; Underground Printing and the East End Food Co-Op. CMU departments and organizations that are supporting the 2015 festival include the Tepper School of Business; Undergraduate Student Senate; Master of Entertainment Industry Management Program; Humanities Scholars Program; Student Dormitory Council; Center for the Arts in Society; Steinbrenner Institute for Environmental Education and Research; Division of Student Affairs; the School of Music; School of Art, OSHER Lifelong Learning Institute; Center for Africanamerican Urban Studies and the Economy (CAUSE); School of Drama and the Multicultural Initiative. For a complete festival schedule, to watch the film's trailers and to reserve tickets, visit http://www.cmu.edu/faces/. Barack Obama impersonator Louis Ortiz (pictured) tries to cash in on his looks in "Bronx Obama," one of 19 award-winning films showing at CMU's 2015 International Film Festival.